DIY Home Builder Returns to His Roots with Faswall Home - ShelterWorks Ltd.
Coleman Pulsifer built his first home and helped several of his friends in rural Maine do the same. He enjoyed it so much he went on to work as a professional carpenter, building homes for others for many years. When their first grandchild was born, Coleman and his wife Susan dropped everything to move to California and be closer to the little boy. 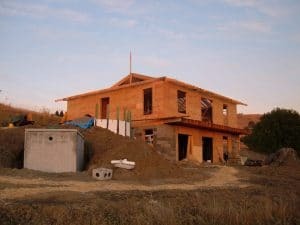 They bought the parcel of land adjacent to their daughter and son-in-law’s property, and Coleman returned to his roots as a DIY homebuilder. 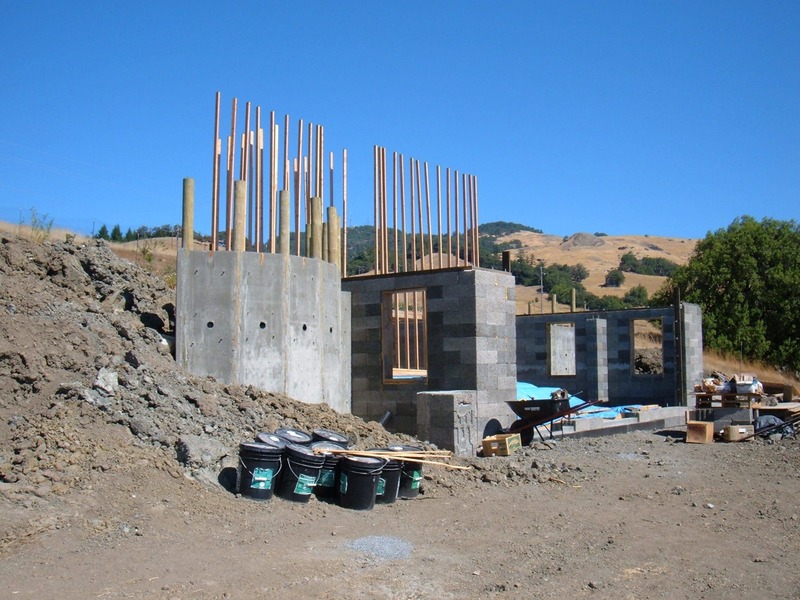 His two-bedroom, one bathroom home in California’s Humboldt County was constructed with Faswall green building blocks, an ideal material for DIY home builders. Coleman and Susan wanted a small home they could finance themselves, build themselves and keep completely off the grid. They acquired a small parcel of land that presented opportunities and challenges for building. It was a beautiful site with a large hill, which meant part of the home could be earth sheltered and the rest could be open to spectacular views. However, winds in their area can reach up to 90 miles an hour. Temperatures top 100 degrees regularly in the summer. California is likely to experience a major earthquake at some point, and wildfires present a new challenge to anyone looking to build in the rural west. The Pulsifer’s new home needed to be durable enough to withstand everything nature threw at it. Coleman first learned about Faswall green building blocks at Organic Grace, a northern California store that sells products for healthy and non-toxic living. “It was obviously well designed and easy for DIY builders to work with,” he says. “Its insulative value was appealing. A surface texture that allows you to stucco and plaster was wonderful. “A lot of standard ICFs are made out of Styrofoam. When you want to stucco, you have to do a whole other procedure for preparing it. With Faswall, after you’ve poured the wall you can finish them. The surface texture is excellent for plastering. 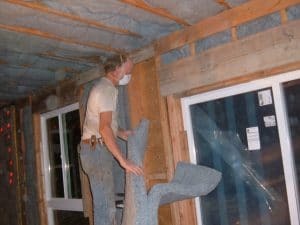 It saves some time and some steps.” Plus, he says, his old home in Maine had Styrofoam insulation that attracted ants. Coleman was able to build nearly the entire home himself, with Susan and their son-in-law pitching in when needed. The finished building measures 33 feet by 35-feet, giving it about 1,100 square feet on the main floor. A lower level has a studio and storage space. A metal roof has a full rain catchment system that supplies an above-ground swimming pool for the Pulsifer’s grandson and a fire suppression system. All the power in the home comes from a 200 watt solar panel. 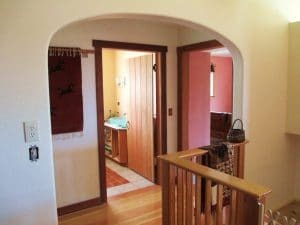 To keep their energy usage down, Coleman included a gravity-fed water system and a root cellar in the house. That, combined with ice chests, is enough to preserve all their food. “We haven’t had a fridge for four years,” he said. Coleman says he was nervous about working with Faswall green building blocks at first because he didn’t know anything about the material. Everything he learned about Faswall turned out to be great. “The amount of steel reinforcement we put in made me feel much more confident, especially since we’re in an earthquake zone,” he reports. The chambers within Faswall green building blocks make it easy to insert rebar vertically into buildings. Those pieces can be tied in with the horizontal rebar placed between the blocks to give the building extra strength. Coleman has several pieces of advice for do it yourself home builders who want to build their own home with Faswall green building blocks. “Part of the reason Faswall works so well is that it’s permeable,” he says. “It survives out in the rain perfectly fine, but it does allow moisture to go through. I would counsel people to be very conscientious about perimeter drains. “The drainage and grading work around the foundation is also very significant, especially in a place that get lots of rain,” Coleman says. “Pitch the finished grade so that surface water flows away from the house. Do careful backfilling. Don’t slack off on it.” Faswall’s experienced construction consultants can help you include these features so that you home stays safe and moisture-free. He and Susan lived in a military surplus tent while they completed the downstairs. They stayed in the studio while they finished the upper level. They found it vitally important to keep the upstairs a worksite. “If you have to clean up every day, you lose a lot of time,” he explains. It’s tiring, frustrating and means living in a construction zone that much longer. Instead, he and Susan taped up plastic sheeting and took other steps to contain the dust and debris littering the upstairs portion of the building. Now that the home is finished, Coleman and Susan couldn’t be happier with it. They have no debt, and they have a low cost, low maintenance home they love. 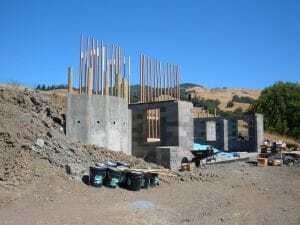 Are you interested in building your own home? 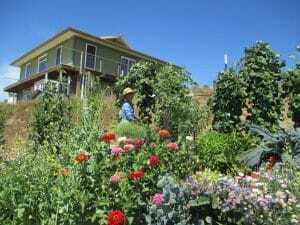 Would you like that home to be net zero energy or have zero debt? Faswall green building blocks may be the solution you’ve been seeking. 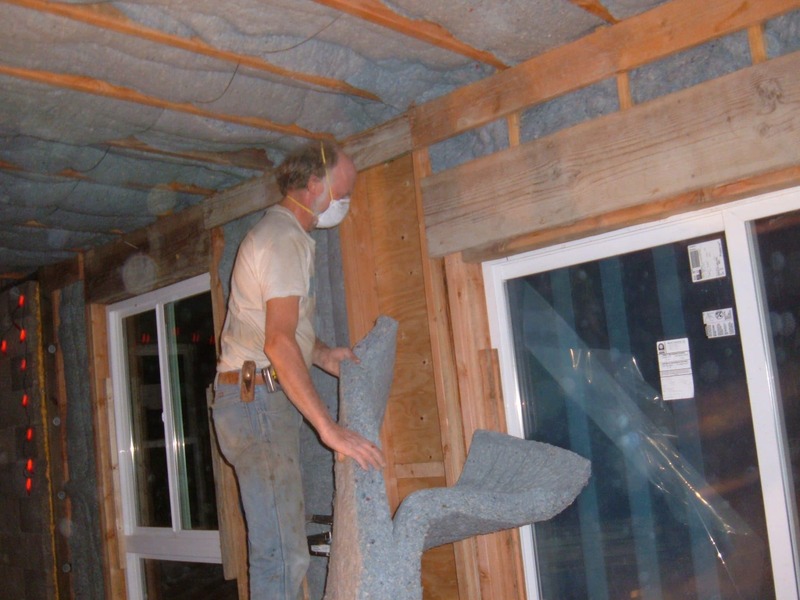 We love working with DIY home builders and people seeking all kinds of green building features. Contact us today to learn more about building with Faswall. Categories: Breathable Basements, Energy Efficient Walls, Green ICF Foundation, Healthy Building Materials, Net-zero-home, Sustainable Building Tags: green building blocks, ICF wall form Leave a comment ?